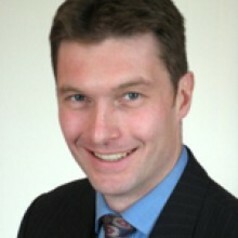 Brad is Professor in Strategic Management at St Andrews University, having recently arrived from Edinburgh. His research, teaching and consultancy interests include the logic of practice in strategy-making, processual approaches to strategy formation and implementation, strategy emergence in complex environments, improving judgement under uncertainty with scenario planning and strategic foresight. He was recently appointed by the ESRC (Economic Social Research Council) as a Senior Fellow for the Scotland Analysis, to investigate the impact of the independence debate in Scotland and the United Kingdom on business decision-making. He has published in a range of scholarly journals including the Academy of Management Journal, Organization Studies, Human Relations, the European Management Review, Futures, International Studies of Management and Organization, Management and Organization History, and Technological Forecasting and Social Change. He is also co-editor of the Edward Elgar Handbook of Research on Strategy and Foresight (2009). His research is interdisciplinary in nature, importing sensibilities from economics, history, philosophy, psychology and sociology for the purpose of better understanding wealth creation. He is also a co-founder of the Strategic Foresight Special Interest Group (SIG) of the British Academy of Management, of which he served as its Chairperson between 2003 and 2007.